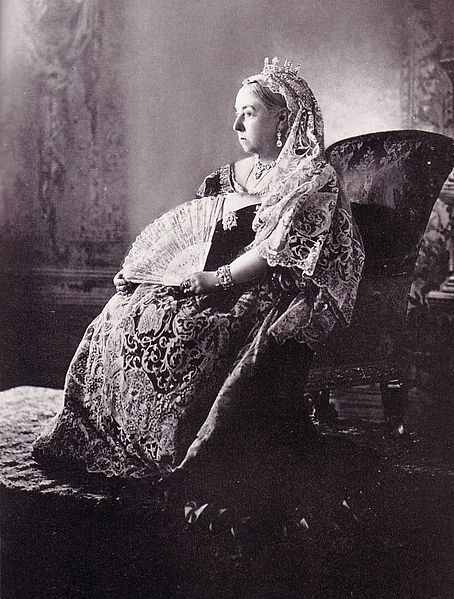 When Queen Victoria died on January 22, 1901 at the age of 81, she had reigned for 63 years, longer than any other monarch in English history. Most of her subjects had known no other sovereign but her, and her death was both a shock and a genuine blow to the millions who populated her vast empire across the globe. Her passing came as less of a surprise to her family and government officials who had gathered with the Queen at her favorite home, Osborne House on the Isle of Wight. Her health had been failing as of late, with rheumatism and diminishing eyesight particularly vexing the aging Queen, who loved her daily walks and to read and write. Another year begun and I am feeling so weak and unwell that I enter upon it sadly. On the 17th of January the Queen’s personal physician, Dr. Reid, concluded that Her Majesty had suffered a stroke, and her children were summoned to her bedside. Her grandson, Kaiser Wilhelm of Germany, also showed up uninvited, causing tension as he was not a favorite with his English relations, save for his grandmother who pitied her headstrong grandson. She died on Tuesday, January 22nd at 6:30 in the evening with her grandson “Willie” and her son “Bertie” the Prince of Wales, at her side, who from the moment of her death became King Edward VII. The Queen had left very specific instructions for her funeral. She wanted a military funeral, as befitted the head of the armed services and the daughter of a soldier. She forbade the use of black, as she firmly believe her death was also her reunion with her beloved husband Albert, whose death in 1861 Victoria had never emotionally recovered from. When she was placed in her coffin by her sons King Edward VII and the Duke of Connaught assisted by the Kaiser, she was wearing a white dress and her wedding veil. An assortment of mementos were laid in the coffin at the Queen’s request as well, including one of Prince Albert’s dressing gowns, a cast of his hand, and a couple of keepsakes from her servant and friend John Brown, carefully hidden from her family’s disapproving eyes. Queen Victoria’s funeral was held at St. George’s Chapel at Windsor Castle on February 2nd. At long last, Queen Victoria was brought to Windsor Great Park where she would join Prince Albert at Frogmore Mausoleum. Far away in Germany, her daughter, the Dowager Empress Victoria, Kaiser Wilhelm’s mother, was in the late stages of cancer and was too ill to see her mother before her death, or attend her funeral. (She herself would die that August.) “Vicky” was the Queen’s oldest child, and the two had always enjoyed a close and loving relationship. Words cannot describe my agony of mind at this overwhelming sorrow…Oh, my beloved Mama! Is she really gone? Gone from us all to whom she was such a comfort and support. To have lost her seems so impossible – and I far away could not see her dear face or kiss her dear hand once more…What a Queen she was, and what a woman! What will life be to me without her…In the bitterness of my grief I must admit that I was a mercy she did not suffer pain, and that she had no long illness, a peaceful end.